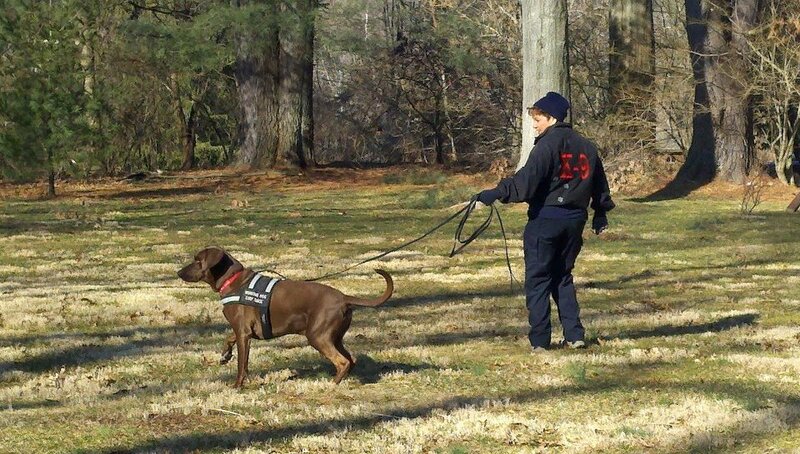 News from: Karin TarQwyn… the K9 P.I. Headin’ the doggies EAST!!!! 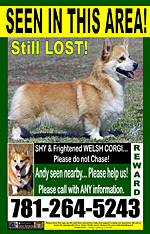 After reviewing The Andy case, we have decided to come back to Connecticut to expand the search for this lovable little Corgi. Based on recent sightings and in some cases lack of sightings in certain areas, I feel it is likely that Andy is now frequenting other locations and/or has expanded his travel route. Without a more definitive location, it is difficult for the volunteer ground crew to know what areas to cover in their awareness campaigns let alone where to place traps and cameras. I know that Karin is looking for information on Cade — did the vets look at thyroid issues? I found this article, I am sure you’ve already covered this but thought I would include it just in case. Click the poster to download.